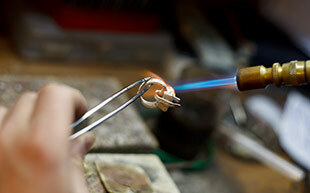 And help us to create some of the finest jewelry produced anywhere. 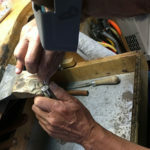 Aucoin Hart Jewelers is the premier jeweler in the Greater New Orleans area committed to beautiful jewelry, personal service and quality craftsmanship at competitive prices. 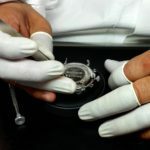 A family business operated by the second and third generations of the Aucoin family and joined by a highly skilled staff of nearly 50 top professionals, including Graduate Gemologists, Master Jewelers, award-winning designers, Rolex certified watchmakers and GIA educated sales associates. 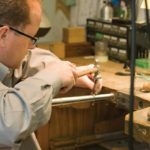 We are committed to building relationships based on trust, and have built a staff that is equally committed to ensuring this bond of trust is always honored. 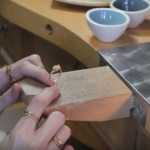 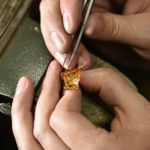 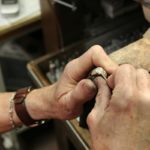 The Polisher is responsible for polishing and finishing fine jewelry pieces in all precious metals (gold, Silver, Platinum) using basic polishing and lapping techniques while adhering to Aucoin Hart quality and safety standards. 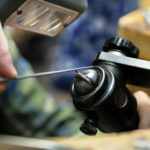 The polisher is responsible for understanding the use and effects of various compounds and wheels to achieve the final polish. 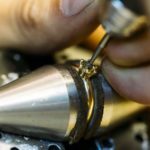 Perform related polishing duties such as lapping operating a flex-shaft hand piece, ultrasonic cleaning and all electro-plating procedures.